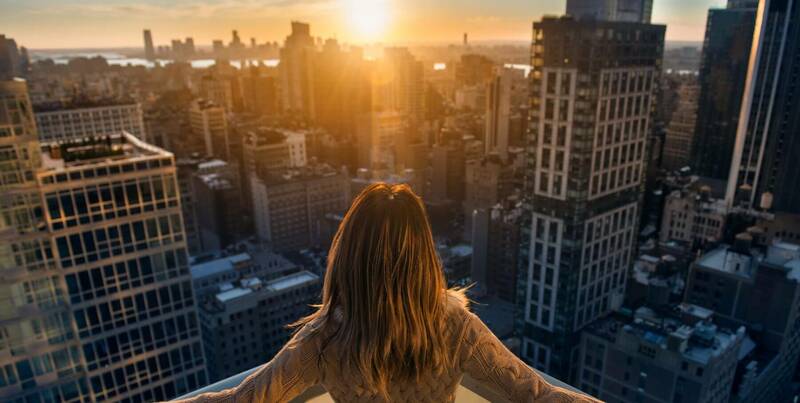 Searching for that extra special Easter gift this year, sure to make your loved ones smile? Personalised packaging brand, Vanilla Reindeer, is at your service, providing gifts with a giggle this chocolate-filled holiday. Vanilla Reindeer has taken the hard work out of finding the perfect gift this Easter, allowing you to personalise a range of gift bags, presents and packaging with your own photos and slogans, and with prices starting at just £5.99* – what more could you want? 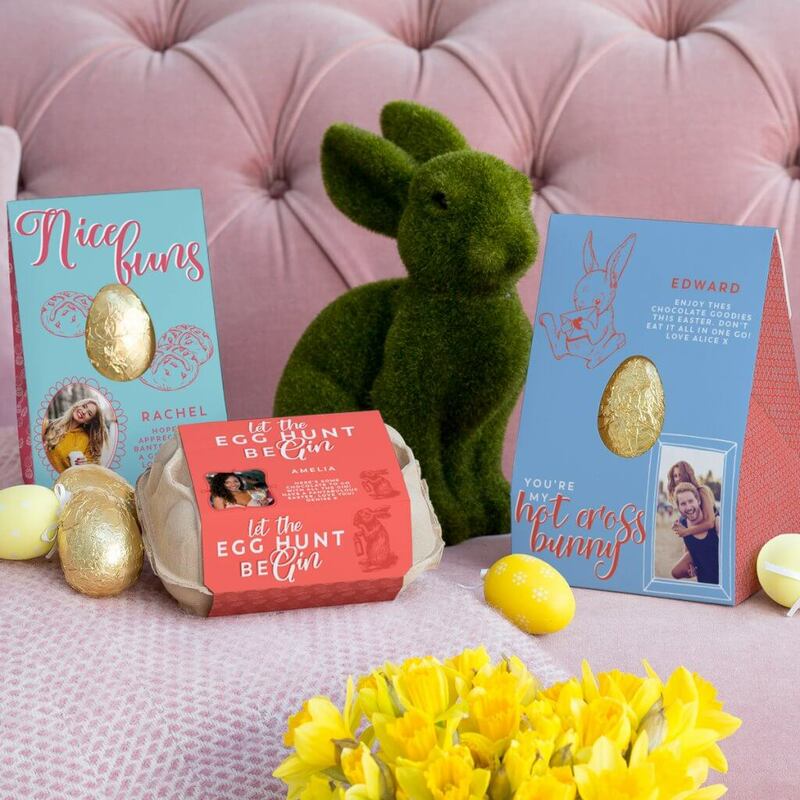 If you’re looking for a gift that’s a bit different but truly personal, at Vanilla Reindeer you’ll find both small and large Easter eggs, as well as a box of six smaller eggs. 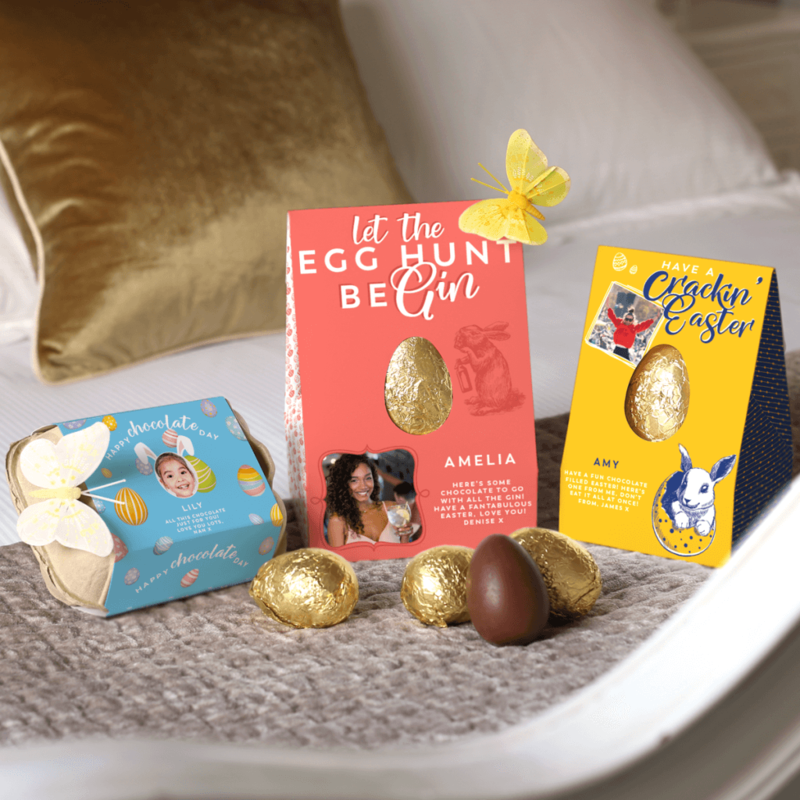 Simply personalise the product with your photo of choice and the person is bound to be delighted when receiving it on Easter Sunday! The large Easter egg also comes with the option of added chocolate truffles, making it the perfect luxury Easter gift. With a range of egg-cellent designs to choose from, prices start at *£10.99. Alternatively, why not try Vanilla Reindeer’s range of personalised chocolate truffle boxes? Available in three sizes and containing delicious flavours like Intense Dark, Smooth Milk, White Lemon, Sweet Mandarin, and Dark Mango and Passionfruit, these personalised chocolates range from *£11.99 to *£18.99. Or if you’re after something other than the usual chocolate gifts, Vanilla Reindeer’s personalised bottle boxes and bags are ideal for holding your tipple of choice. Prices range from *£5.99 to *£6.99 and there is a selection of exclusive alcohol available to purchase online. You can now also choose from an exquisite collection of gift sets and toiletries, perfect for unwinding after a busy day of Easter Egg hunting! Pop these in a personalised gift bag, which are available in 5 different sizes and with many different designs and styles, there is something for everyone. Gift bags range from *£6.99 up to *£8.99. Whether you’re after a family-friendly design for your mini-me, or a cheeky slogan for that special person in your life – the choice is yours when personalising your packaging. Vanilla Reindeer has made the ordering process quick and easy too, taking only a few minutes to complete – so no excuses for giving boring Easter gifts this year! With beautiful personalised items covering every season and event from Mother’s Day, Thinking of You, New Baby, Weddings, Easter, Baby Shower, Graduation, Father’s Day, Thank You, Good Luck! and Congratulations – Vanilla Reindeer has something to mark every special occasion. This exclusive online service means that with just a few clicks of a mouse you can create a stunning personalised bag or box. They add an extra personal touch to the occasion and they’re really fun to create. Using the latest print technology Vanilla Reindeer will ensure your images are beautifully reproduced on a huge range of gifting items – all of the highest quality. To ensure your lovely receives the gift in good time… all items have the option of either Royal Mail 1st Class standard delivery or Royal Mail Tracked 24, Royal Mail Special Delivery and Royal Mail Special delivery Saturday, so there’s no need to panic. We also have a special code for 30% off your order using code EGG30PR.